The BLUE MED Functional Airspace Block was established with the signing of the State Level Agreement in Cyprus on 12 October 2012. In the BLUE MED FAB Implementation Programme document are contained all the operational and technical implementations which the four BLUE MED States intend to deploy, as well as a number of other activities having the scope of improving the capacity, efficiency, safety and harmonisation on a FAB-wide basis and the reduction of environmental impact. The major projects include Free Route Operations, ATFCM and Cross-border optimisation, Air Ground Data-Link Coordinated Deployment, IP Network Implementation, PBN Implementation and Complementary OLDI Messages implementation. 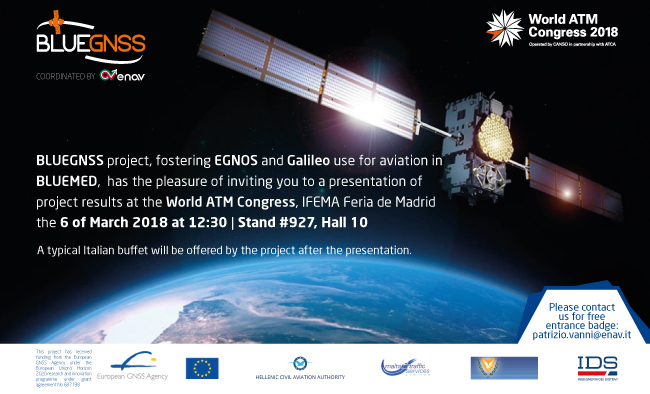 Other activities, some of which have to be implemented to meet SES requirements, include Aeronautical Data Quality, a Surveillance Maintenance Plan, the ATM System upgrade. In addition, a number of initiatives in the Safety Domain, in Human Resources and Performance Planning are constantly being undertaken. All these initiatives have the objective of achieving the capacity, safety, efficiency, economic performance and environmental benefits that the European Commission expects from the implementation of the Single European Sky. The objectives of the BLUE MED FAB are not limited to the full implementation of the Single European Sky in the territory of Member States but also include the full or partial integration of neighbouring non-EU States’ Flight Information Regions within the FAB. This can be achieved when these States adopt parts or all of the European Aviation Acquis that will allow them to take an active role within the FAB. There are advantages to both non-EU States as well as to the BLUE MED States and the European Union: firstly, the former will be able to raise their ATM standards, opt for the deployment of SESAR in their territory (and possibly become integrated in route charges collection systems); secondly, the applicability of the SES legislation will extend beyond the EU borders and finally lead to a safer and more harmonized cross border situation at the boundaries of the Flight Information Regions of all States concerned. If you want to remove your subscription, insert your e-mail and click here.